Prahova Valley wine range includes that complements and enhances your (we think) quality of life. It is best known wines range Halewood cellars. The grapes come from the region Dealu Mare(Great hill), Transylvania Plateau and Murfatlar region. Meets premium quality wines, complex, modern impression of wearing 12 months aging in new oak barrels, romanian and French, and aged in bottle to achieve specific bouquet. Technological interventions conditioning wine to preserve naturalness and flavors were minimal. Made from grapes coming from vineyards in the Sebes-Alba, wine is a dry wine, fruity and well balanced. Semi-dry red wine, complex with fine tannins resulting from minimum 12 months aging in oak barrels. 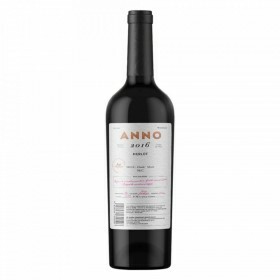 A semi-dry wine exquisite ruby color, smoothness and softness with its own variety, well balanced with a pleasant acidity blends harmoniously with fine tannins coming from oak barrels. Red wine, generous, full-bodied, well-balanced. Red wine, a dark ruby color, full-bodied, complex and harmonious. Flavors that emanated from aging in barrels are prunes, cranberries and spices. It is an ideal aperitif but can also serve cakes and tarts with fresh fruit based. Asocieri culinare: Este insotitorul perfect pentru preparate din carne alba cu sosuri complexe, si pentru bucataria asiatica.